Don Macdonald died at Mass General Hospital in Boston on Nov. 6 as a result of a stroke he suffered on Oct. 24. Margaret Steinberg died on Sunday, Nov. 4 at the age of 69. Edmund C. Cottle Sr. died early Friday early morning, Nov. 9, at his home in West Tisbury. He was 87. 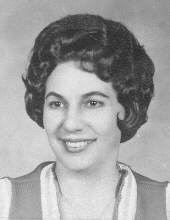 Harriet D. (Greene) Hickie of Kingston, formerly of Martha’s Vineyard, died on Nov. 11. Dr. Patricia Veronica Symonds, 86, of Providence, R.I., Cuttyhunk and Useppa Island, Fla. died on Nov. 6 at St. Elizabeth’s Manor in Bristol, R.I…. Ham radio operator Richard Jan Carman, 76, of West Falmouth died November 13 at Bridges by Epoch memory care facility in Mashpee. Thomas Chester Armstrong, 91, of Buzzards Bay died November 13 at home. US Army veteran David W. McDonald of Swampscott, who leaves a brother in Mashpee, died October 13 after a battle with cancer. He was 58. Newbury, MA – Harry Russell Trout, Jr., age 78, longtime resident of Newbury, died unexpectedly on Sunday, November 11, 2018 (Veteran’s Day), at his home on Plum Island, where so many beautiful memories had been shared with family and friends. WRENTHAM — Marion Spadoni, 97, of West Barn Road, passed away on Wednesday, Nov. 14, 2018 at Serenity Hill Nursing Home in Wrentham. She was the loving wife of the late Adam Spadoni. MANSFIELD — Catherine M. (Arno) Devine, 62, of Mansfield, passed away in the presence of her loving family on Wednesday, Nov. 14, 2018 at the Sturdy Memorial Hospital in Attleboro.